Samsung's plans to kill the notch: Yes, please. Highly anticipated: Samsung was sprinting towards bezel-lessness before other companies could find the start line, and now it looks like they’re about to make a home run. A leaked image from their secretive OLED Forum on Thursday reveals that not only do they have plans for an under-screen fingerprint scanner, but under-screen stereo speakers, haptic engines, and best of all: a camera. What’s more, a separate leak says they’ve got prototypes. The leaked under-screen technologies come via reliable tipster Ice Universe, who posted an image of a slide detailing them on Twitter. Obviously, the implications are huge: if Samsung is the first company to bring these technologies to market they would crush the competition. No bezels would be required on the whole phone, only the pixels covering the camera sensor would need to be turned off (briefly) for it to take a photo. But the jury is still out on whether Samsung will be able to introduce them with the Galaxy S10. Great news! Samsung established the direction of mobile phone design in 2019! These technologies are very new, and while there’s no doubt every company has had them on their minds for a while now, it’s late in the game for the S10 to only be hearing about an under-screen camera now. Leaks about under-screen fingerprint scanners on Samsung phones have cropped up in the past, and they’ve all been wrong. It is likely to be feature on the S10, however, given the fact that so many other manufacturers are bringing it to market. 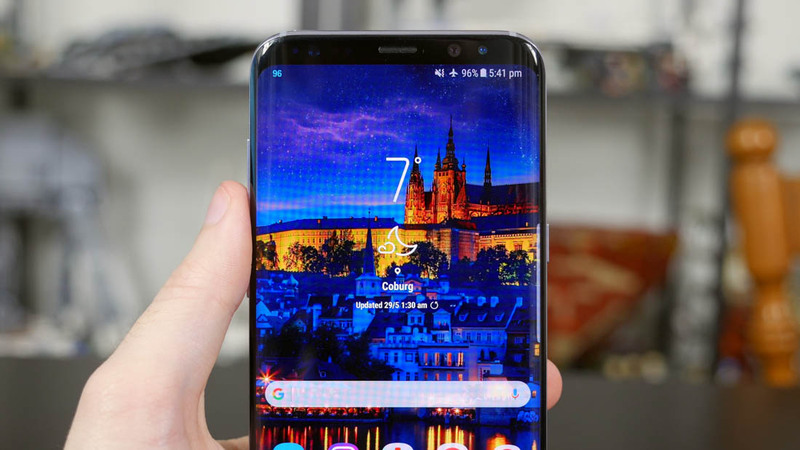 One of the images in this article is of an S8, the other is of an S9. It's pretty hard to tell which is which. Surely, the technologies were grouped together in the slide and Samsung was the first to eliminate side bezels with their edge displays. 'Samsung Mobile News' reports that Samsung have a “handful of prototypes” with the tech and the company's CEO said the S10 will feature "very significant changes," but what exactly that means for 2019 remains to be seen. The Galaxy S9, while a solid phone, has not done great because of its similarity to the S8. Plus, it would bring massive shame to Samsung to introduce a notch straight after they mocked it on Google’s Pixel 3 XL. It also seems unlikely, though it is possible, that they’d go with the pop-up camera found on a couple Chinese phones. How have phones improved in the last few years? Size and bezel reduction is one of the most notorious things that comes to mind. How will phones improve in the next few years? Well hopefully, that notch will disappear.